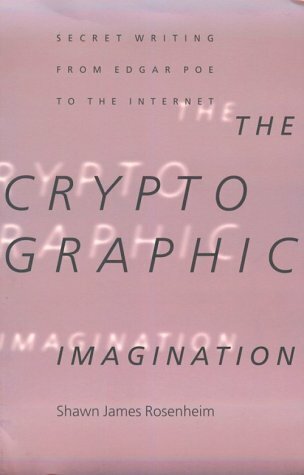 In The Cryptographic Imagination, Shawn Rosenheim uses the writings of Edgar Allan Poe to pose a set of questions pertaining to literary genre, cultural modernity, and technology. Rosenheim argues that Poe's cryptographic writing--his essays on cryptography and the short stories that grew out of them--requires that we rethink the relation of poststructural criticism to Poe's texts and, more generally, reconsider the relation of literature to communication. Cryptography serves not only as a template for the language, character, and themes of much of Poe's late fiction (including his creation, the detective story) but also as a "secret history" of literary modernity itself. "Both postwar fiction and literary criticism," the author writes, "are deeply indebted to the rise of cryptography in World War II." Still more surprising, in Rosenheim's view, Poe is not merely a source for such literary instances of cryptography as the codes in Conan Doyle's "The Dancing-Men" or in Jules Verne, but, through his effect on real cryptographers, Poe's writing influenced the outcome of World War II and the development of the Cold War. However unlikely such ideas sound, The Cryptographic Imagination offers compelling evidence that Poe's cryptographic writing clarifies one important avenue by which the twentieth century called itself into being. About: In The Cryptographic Imagination, Shawn Rosenheim uses the writings of Edgar Allan Poe to pose a set of questions pertaining to literary genre, cultural modernity, and technology.